*Annies Ruby Slipperz: It's a Mystery, baby...what I'm "GO" ing to give away.. It's a Mystery, baby...what I'm "GO" ing to give away.. The "titles of all these illustrations have something in common. But, it's a Mystery...to me what it is! ooops...wait, there's no title on this one??? problems with either the cutters or the dies. GREAT ones out on the internet. This is a wonderful tutorial at Fat Quarterly! A charm pack and the GO! Baby click HERE to view. I'm sorry to say...there will be no fat quarter giveaway today. NOPE...but, there WILL BE a GIVEAWAY!! Would you like to win a GO! Baby? fun toys to play with in YOUR sewing room! donating a GO! Baby for this giveaway. I love this!I would love the Go Birds,Go calico cat,or Go dove. Wow - it is hard to choose the three dies - I know I would want the circle cutter, because I can't cut a straight line, much less a round circle - insanity! I think for the other two I might go basic with a HDT and a square, but I don't know what size. OH - but the birds - I really like the bird, too!!! Thanks forthe WONDERFUL giveaway - this is something I would be absolutely thrilled to win!! oh, baby! I thought the chance to win one of these had dried up. I would choose the value die, the quarter square, and the signature block. Of coarse, I do lots of piecing, so I would need squares, strips and trangles, too. What a wonderful giveaway. I just put one of these on my wish list. My favorite dies are the Drunkard's Path, Half square 1 1/2 inch, and Zoo Animals. Thanks for a chance. Oh, baby! How I'd love to win! The three dies I'd like would be the 2 inch squares, the 2-4 inch hearts, and the Holiday medley. I would use the hearts to make quilts for my hubby's congenital heart group hospital quilts! Thanks so much for the chance to win! OH, Baby I want one of these! My wife wants a new quilt for our bed and she has her eye on a quilt made from 4 inch diamonds, so that would be my first die without a doubt. Drunkard's path and Hexies would be my other two. And the first project would be a quilt for our bed. I have made dozens of quilts, but I still sleep under a store bought mass produced in Taiwan quilt... It's time for an upgrade! I would love to have a Go Baby! The dies I would choose are Zoo Animals, Birds, and Critters. I would love to make baby quilts with some of these cute things appliqued on them. Thanks for the chance to win! I would love to have the Elephants, the Drunkard's Path and the Hexagon dies. I would like the Go Feathers, Birds, and Stars. I'd make some quilt kits to share with friends or to make a quick quilt in the future. These are my favourite dies: hexagon, drunkard's path, and value die. thanks for the chance! Oh my do I want to win this! I am already a follower and the dies I would like would be the hexagons(55011); the circles(55012) and the birds(55352). What would I make? Well a grandmothers flower garden, a baby quilt with appliqued fish and lots of bubbles (my own design), and wall hanging (birds on a wire)..again my own design. I am off to blog about this. I want all the chances I can get! Oh Thanks for the chance to win! I'd use the DP to make a picnic quilt! If we are so fortunate as to win, the dies that would like are the hexagon, value die set, and Drunkard's Path. I'm making a Grandmother's Flower Garden queen quilt and it would be so much easier if could die cut my hexies. It takes more than 4,000 hexies so I call this a lifetime project. Thanks for the chance! I've been watching and waiting for your post. I'd choose the tumbler, the parallelogram and the apple core. I'd like to make baby quilts using those dies. Thanks for the chance! I would chose Zoo Animals, Elephants and airplanes for children's charity quilts. Hi Annee!! Thanks for the chance at the giveaway. I would love the small tumbler die, the drunkard's path, and the 2" strip die. What fun it would be to have the Go! Baby. Would love a GO! easy to pick! Dreaming about trains, elephants and zoo animals to make baby quilts for all three of my new grandsons! Thanks for a chance. OH MY! I would pick the parallelograhm, the circle,and the diamond. The hexagon also because I can't count to 3. HEHE The first thing I would make would be acircle mug rug, so I can get "a round tuit" and finish up the other things laying around. Then I could design and make some nice flower applique quilts. What would I pick? GO! Square 5", GO!sparkle-jumbo tree, GO! Birds. What would I make? Christmas tree wall-hangings for my kids, sweet spring wall-hangings with the birds and twister table runners using the 5" square. Wow, would I ever be busy! Thank you for hosting this fun giveaway, Annie! You are so sweet. What a great give-away. 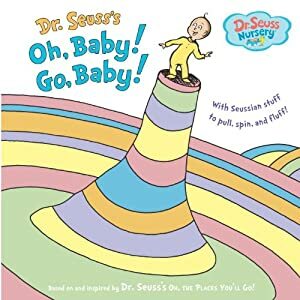 I already have a Go-Baby and I have enjoyed using it. I could sure use some of the strip cutters. That is my least favorite chore. I am a follower, too. Thanks for the chance to win. Fingers crossed! Oh, yay, for once I'm not entry 482 or 623. LOL Hearts would definitely be one. I use them a lot on both Hugs quilts and American Hero tops, so that would speed it up a lot! Go! Birds would be so helpful with folk art applique, too. The Value Die would be my third choice. This would make a cute kids quilt for my kiddos. I love the 2.5" strip cutter, Drunkard's Path, and Birds!! Thanks for the chance! I follow. I'd love a strip cutter, a drunkards path and a tumbler block die. My three favorite dies would be rick rack, Rose of Sharon, and the 5.25" rag sqare. Thanks so much for the chance to win! Annie, How fun! My three favorites? GO! Birds, GO! Pumpkins, GO! Rag Heart & Star... I am working on several projects (who isn't?) and the table runners I'm doing with look great with the pumpkins. Also I like to put hearts on different things. Great to see you getting this opportunity. OH my gosh, I could really use one of these babies! The 3 dies I'd choose would be: GO! Tumbler-3 1/2", GO! Pumpkins, and GO! Drunkard's Path-3 1/2". I would use the Drunkard's path first and make some of the retro flowers I've seen around. Thanks for the chance Annie! The equilateral triangles, the 3.5" square, and the 2" square for me! I'd love to win one of these for the quilt ministry - thanks for the chance!! Wow! What a wonderful prize! It is hard to choose 3, and if I won, I'm sure I'd become one of their best customers. LOL Today I like the birds, the little tumblers and the apple core... tomorrow I'm sure I could choose 3 others. ;-) Thanks for the fun! Holy smokes, Annie!! What a fantastic giveaway!! I really want to make time for more quilting. I told myself I'd try to focus on that this year. Where does the time go??? #2 - I'm obsessed with hexagons lately so I'd have to pick Go! Hexagon! #3 - Something cute and fun, Go! Elephants!! Go! Go! Baby! I would pick the 2.5" strips, the 5" squares and the 3" squares. I've been wanting one of these. Thanks for the chance. Wow, this is great!I think I will go all out for animals. The ones I would choose are Elephants, Reindeer and Birds. I think these will be great fun for making a selection of baby quilts. Thanks for the great give away. I follow your lovely blog. I love the GO! 2.5" strip cutter, GO! Drunkard's Path, and GO! Birds. I saw a review on making a Drunkard's Path quilt and I wanted to make one too.. Thanks! I would love the equilateral triangles, circles, and tumbler block dies! Thanks for sharing! Wow! What a great giveaway. I like the 1 1/2" strip cutter, the hexagons and the holiday medley dies. I would use the strip cutters on a log cabin quilt. What a hard choice...buy finally narrowed it down to Zoo Babies, Go! Daisy, Go! Birds and Calico Cat...ok...I can count...that's 4, but I couldn't pass up any of these...I can see baby quilts, lap quilts, mug rugs, endless possibilities. Thanks to you and Go! Baby for such a great chance to win. How neat for AccuQuilt to donate a GO! Baby for this giveaway! My 3 favorite templates would have to be: GO! Strip Cutter-2 1/2" Item 55017; GO! Mix and Match 12" Block Die SetItem 55902; and since I love Autumn, the GO! Pumpkins Item 55323. I'm certainly a follower and today I have blogged about the giveaway. 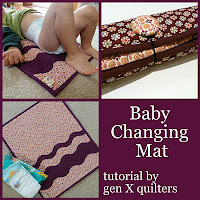 You can read about it at http://mountainquiltworks.blogspot.com/2012/03/go-baby-giveaway.html. I did a post on this Giveaway on my blog. I already own a Go! and love it! It does come in handy!I do have a wish list of dies I want though! ;-)Would love the Rick Rack, Ovals(eggs)and 5 inch sq. Good luck to everyone . You will enjoy using GO! Baby. How fun! How about the 4 3/4" square, the 2" strip, and the 3" finished triangle. Circles 2", 3", and 5"
Hexagons 2:, 3", and 5"
I would love to win a Go! Baby. Circles, 2", 3", and 5"
Hearts, 2", 3", and 4"
Hexagons, 2", 3", and 5"
How exciting! I would choose the parallelogram, the GO train and the GO zoo. 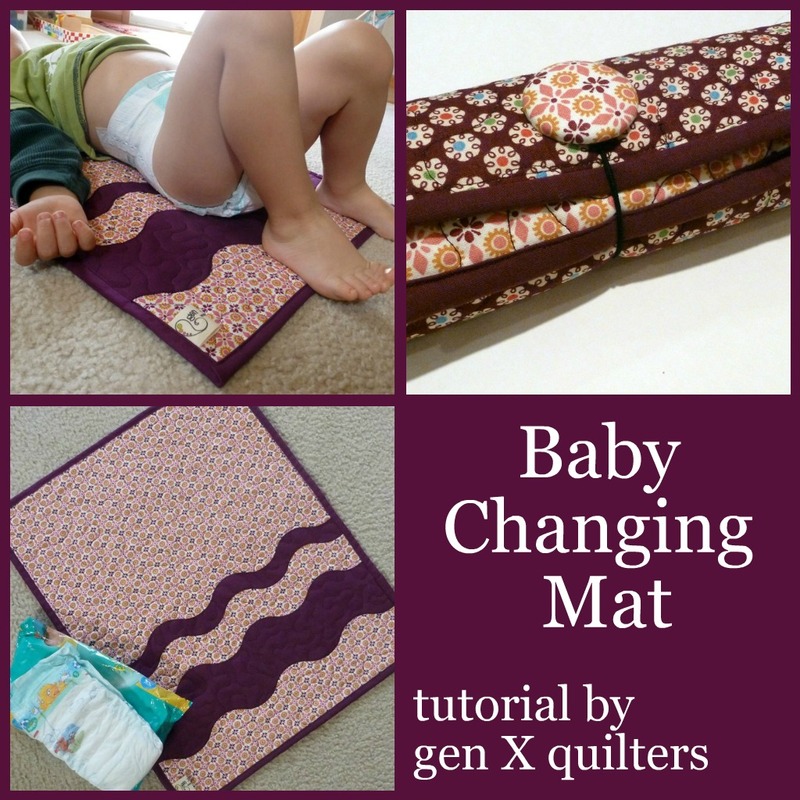 I would love to use them to make a couple of quilts for the soon arriving grandbabies. Rick rack, go birds, square rag die. So many great choices! After much deliberation, I would choose the 2.5 inch strip, the Circles (2, 3, & 5 inches), and the 5 inch square. I think this would help me quilt from my stash with the great "pre-cut" patterns. Thanks for the generous giveaway, from a follower. I love tumblers, hexagons and sue bonnet sue. I'd love to win a cute little GO! Baby. I'd really like to create with the 3" Drunkards Path die, Elephants and the Zoo Animals. What a wonderful prize. I'm a follower. So many dies to shoose from - I'd choose Go! Daisy, Go! Fall Medley and Go! Apple Cores. I use them for a funky fun tablerunner and placemats. Thanks for the chance to win a GO Baby! Congrats to Denise....and congrats to you for getting a Baby Go to giveaway. 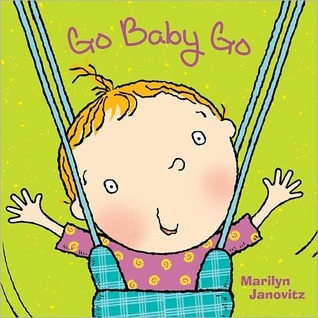 There haven't been many Baby GO giveaways in blogland lately. If I'm the lucky one...I would choose Fall Medley, Birds, and the Tumbler. I'm a happy followers. Thanks for the opportunity to win a fun toy for my sewing room...hugs from Michigan. The 3 dies that would be fun to have are the apple core, hexagons and hearts. They have so many that it is hard to choose. I am a new follower. What a fun giveaway. Thank you. I would possibly choose Half Square-4" Finished Triangle, The 2.5 inch strip cutter, and the Drunkard's path! I would make all sorts of things, quilts being one of them. :)Thanks for the chance. I just created a blog so I could have a second entry! :) Hope it works out. Wow, this is an awesome giveaway. I would choose the Drunkard's Path, the diamonds (4") and the tumblers. I'd choose hearts, circles and 5" squares. Thanks for the chance to win. Hugs, and have a happy day! Hi Annie, thanks for the opportunity. I have always said the most useful for me would be the apple core, tumbler and 2 1/2" square to make short work of my scraps. Wonderful prize! Luckily, I already have a list of dies started! I was trying to pick out ones that would fit into the diecutting machine I have for scrapbooking--but winning this would open the possibilities! Three I love right now: tumblers, diamonds and apple core. I would love to win a Baby Go! The three dies I would choose are the Holiday Medley, the Fall Medley and the Go Square 5". What an amazing giveaway! I love the 3.5 in tumbler, the apple core, and then it's hard to decide between the fall medley and pumpkin set. Thanks! I'd choose Drunkard's path - 3 1/2", half square 3" finished triangle, and chisels, and I'd make a drunkard's path baby quilt. Thanks for the giveaway! I'm a new follower. I'd choose the Rag Flower and Circle; Birds and Drunkard's Path dies. All would be fun to use for table runners and small quilts. Thanks for the chance. Oh wow! Thanks for the great give away! I am happy to be a new follower. I love the birds, hexagons and tumblers dies. My flowergardenquilt still needs some new flowers and the hexagon dies would just be such a help with it. My three favorite dies are the circles, the hexagons and the chisel. I would make a hexagon baby quilt for my newest grandbaby! I love the Train, the Round Flower, and the Feathers. Thank you so much for the chance on your great giveaway! I would choose the 3.5" Tumblers, the 6.25" Apple Core, and the 3.5" Drunkards Path. The first thing I'd probably make would be a little Drunkards Path Wall Hanging! I'd love to sew more curved pieces but I hate cutting them! Thank you for a lovely giveaway. I'm a follower- Kylie C.
hexagon, tumblers, Drunkard's Path. The first thing I would make is a Thumbler Quilt. Thanks for the chance to win! I'm following. I would lov to have the winding ways set, and the dies needed to do a storm at sea. Pick me....Pick me. Nice giveaway. Oh boy! I would totally pic the Equilateral Triangles, the Sparkle Diamonds, and the Circles! I've been wanting to do an appliqued circles quilt for a long time now.....but cutting all those circles stopped me. This would do it! Yay! Hi! I'd love to have the zoo animals, rick rack, and rose of sharon dies. Hope to win! I posted on my blog, www.aspenhill.wordpress.com. Thanks! I follow by email, but I don't have a blog. My 3 picks would be the 2" strip cutter, the circles, and the hexagons. I have plans to make a hexagon quilt some day & even have the papers to get started. I would choose drunkards path, tumbler hexago. first I would make is thumbler quilt. If I got to pick 3, I would choose feathers, drunkard path, and diamonds. I'd pick the HSTs, the tumbler, and the drunkard's path. Thanks for a chance to win! I've been coveting this for a while. I would choose the hexagons, small tumblers and the birds. The first thing I would make would be a hexagon table runner. Thanks for the great giveaway. Wonderful giveaway! I would pick the Rose of Sharon, Rose of Sharon 2 and the drunkards' Path to make table runners out of! Thanks for the chance and fun ideas! I would pick GO! Drunkard's Path-3 1/2", GO! Strip Cutter-2 1/2", and GO! Apple Core-6 1/4". Oh! How exciting! If I was the lucky winner, I'd love to have the circles, hexagons and Drunkard's Path dies. All things that are no fun to cut by hand! Thanks for the chance! Thanks for this fun chance to win. Oh, I'd love to win!! I like the birds, hex, and circle ones!! So many fun options. Thanks for the chance. OMG!!! !What a great giveaway. I'd love to win.I pick the tumbler, the Drunkard's path and the HST. I would pick the Stems/leaves, Birds and Daisy. I have a pattern I would love to try these out on that would use all 3. Thanks for the wonderful giveaway. How lovely! I am a new follower and I would choose the tumbler, apple core and 5" square. thanks! For the dies, I would like the fall medley, the christmas medley and the 3.5" tumbler. I want to make some placemats to use as chargers for our holiday meals....everyone would get Christmas presents this year if I won! Table runners for the lot of them! What a great giveaway! I would choose the 5" square, drunkard path, and Overall Sam dies. 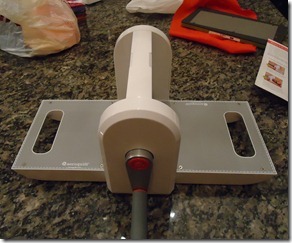 I would like to try the Lil Twister tool with the 5" square die. Great giveaway, thank you! I think my 3 favorite dies are the 5" square, tumbler, and circles. Tumbler 3 1/2, go hexagon 2,3,5 and strip cutter 2 1/2. I would start the hexi flowers from my scraps that I have been putting off if I would win! Circle 2", 3" and 5"
I would start with the Drunkards Path first as I've wanted to do one of those in scraps! Well of course because i think they would be the most used by me I have to say one of the simple square (not sure what size i would go with) and the HST. But i really like the GO! Holiday Accessories! And I am a follower! Thanks! Hi, Annie! I made my way to your blog from Pauline-QuiltnQueen's site. I was just looking on line at the Go! 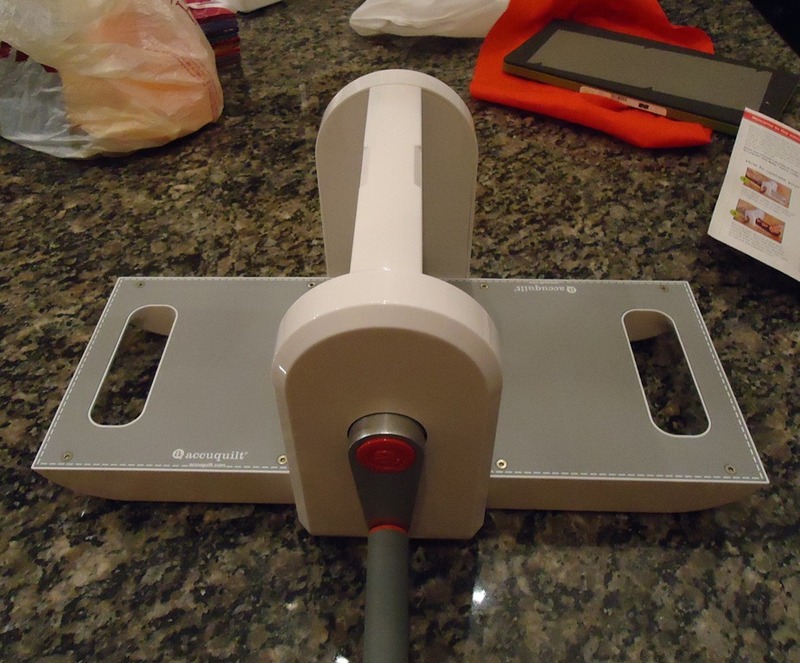 cutting system earlier this week, thinking that it would be most helpful in some quilts I have planned. My favorite dies? I think I would start with the 2-3-5" circles, the rag star and the 2-1/2 strip cutter, to make those 2-1/2" squares I love to checkerboard together. But funky flowers, alpha baby and rose of sharon would be close behind. Looking forward to seeing you in this part of the country in November! Just pick 3!!!! Wow, that's crazy! Ok, right now I'm thinking...Go Feathers, Birds, and Stars! But in about 5 minutes it's likely to change! I love the Go! Zoo Animals, Go! Elephants and Go! Trains. I would make a quilt! What a generous giveaway. I would probably choose the Go Chisels, the 3.5" square and the 3.5" X 6/5" rectangle. I'd love to win a GO! I'd like the zoo animale, rick rack, and rose of sharon dies. I have tried so many times for this. ;) Glad to have another chance. I would love the value die, stems and leaves, and the drunkards path. Thank you. What a giveaway! My favorite dies are the 1 1/2 inch strip, the 3 1/2 inch tumbler, and the 4 inch HST. It's my birthday. :) This would be such an awesome present! 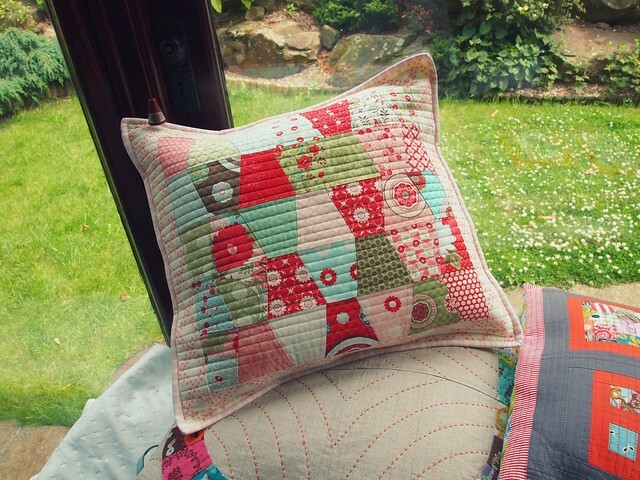 Oh, and I would make quilts with the strip and HST and a cute little pillow with the tumbler. WOW!! You are having such an AMAZING giveaway!!!! Thanks so much for chance to enter! I just blogged about your giveaway!!! I think I would start out with the Drankard's Path, Hexagon 3 or 5, and the Apple Core. I would so love to try the hexies, the drunkard's path, and the rick rack dies! Thanks for the generous giveaway! I would love to win one of the baby Go cutters. I have followed the Accu quilter site for a long time and would love many of the dies- I think for now I would choose the Tumbler, the apple core and the heart die. Thanks for the chance to win such a beautiful prize. I have wanted one of these babies for so long. I love the 2 1/2 strip, sq. cut for rag quilt, hexagon. I would make binding and strips for jellyroll quilts.Thanks So much! What an awesome give away! My favorite dies would be the tumbling block, equalateral triangle and circle. I would make the tumbling blocks first for some hug quilts for kids. I have wanted one of these babies for so long. I love the 2 1/2 strip, sq. cut and apple core. I would make binding and strips for raffle quilts in my area.Thanks So much!